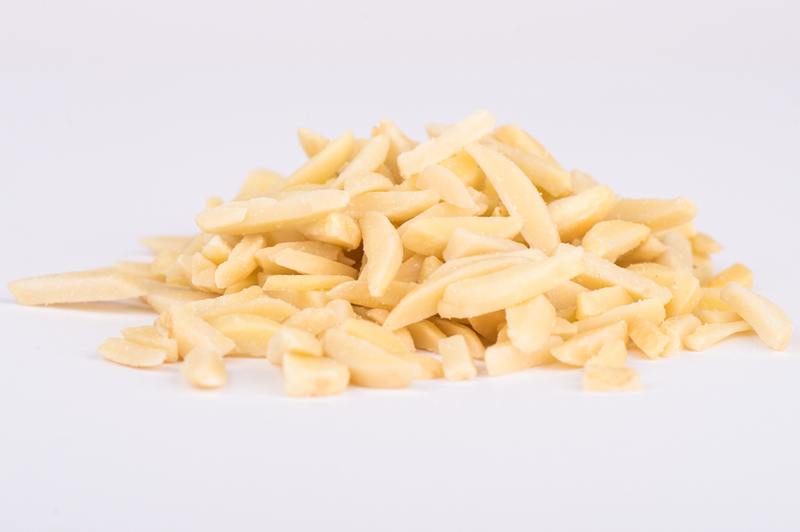 Product is blanched and cut into slivers and shards with a typical almond flavour. Product should be firm and crisp. Colour is a creamy white/lightly beige colour. The product should not be rancid, not mouldy and not bitter. The slivered almonds come from a BRC accredited supply.